Wendrah Read in full. Congrats Winter and Zylo. And thank you so much, Roar and Mina. I was listening to another panel so I missed this. I'm so glad it was recorded. Dorelei Just epic craftsmanship and performance. Thanks for posting! I'm a month behind but I wanted to get the Halloween tmog contest winner posted and announce the theme for November. Your Halloween costumes are always a delight. In October, Pegeen won for a "bee-utiful" costume. 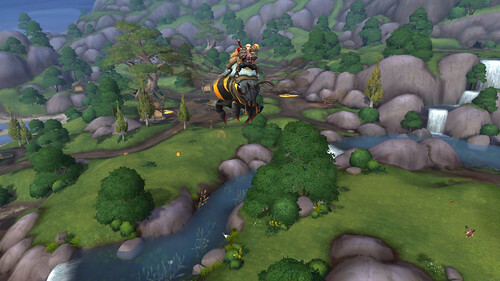 And this is a good time to announce the Bee Mount is coming in Patch 8.2. 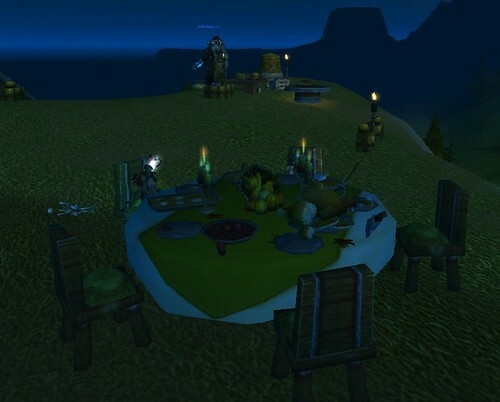 In a Q&A back in the early summer, Ion Hazzikostas hinted we might see it. No clue, of course, how we're going to get it but we need to have a bunch of hunters with bee hunter pets and battle pets on bee mounts. So, the theme for next month. 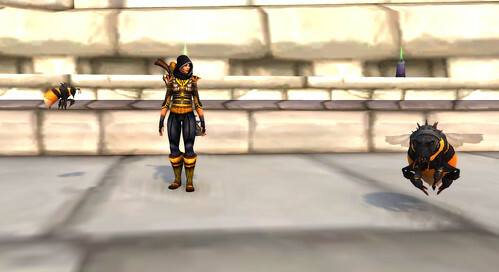 Next month's tmog contest will be held on Saturday, December 1st. I am out of town on November 20th and the week before is Thanksgiving weekend. Historically, we don't do much over that holiday so the officers decided to move the event back a day. It's on the calendar for you. The theme is "The Anti-Tmog Contest". What does that mean? All your gear and your weapon(s) must be gray quality. But Gimm. You can't tmog gray gear. Hey! That's right. 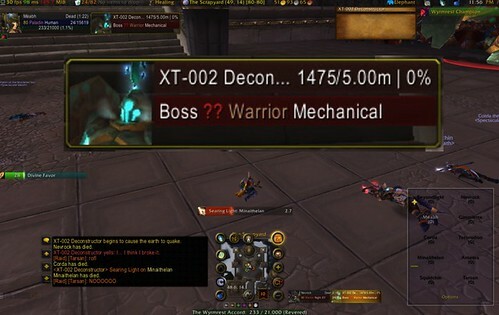 That means, you'll be equipping all your gear instead of tmogging it. It has to be gray quality; you know, vendor trash. You won't be able to buy this stuff. While some of the gear vendors sell is visually interesting, it's white quality. You need gray quality. 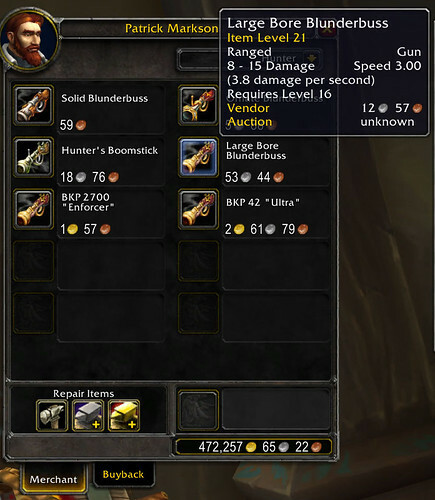 This kind of gear is found all over Azeroth on any mob. I'm also not restricting what kind of gear it is. For casters, they will be restricted to cloth but warriors, who can wear any gear, go collect whatever you can find. Send your list to either Pegee or Perki. She will be the judge. Good luck. Let's see what you can find. Two new videos premiered at BlizzCon on Friday, November 2nd. Both refer to Patch 8.1, "Tides of Vengeance". That's...that's...THEM! It's about time. This video references what's coming with the Alliance reclaiming Darkshore from the Horde. It tells us next to nothing about what we will experience in the Warfront, but sets the mood for what possibly is coming. This is great storytelling. Speaking of great storytelling, this is a gut-wrencher. He leaves the friggin' door open. Could there be any more "open ended" ending? Again, we don't learn much, but we learn a great deal. Amazing progression of the story.